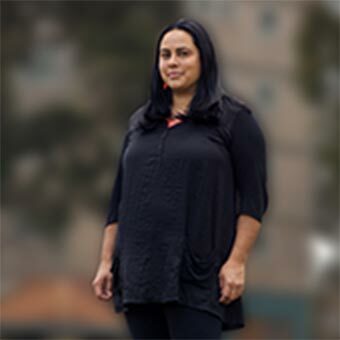 Ngarra Murray is a Wamba Wamba (Gourmjanyuk), Yorta Yorta (Wallithica) and Dja Dja Wurrung (Yung Balug) woman based in Melbourne. She is the mother of four children and the second oldest of 12 siblings. Ngarra has passionately worked in the Melbourne Aboriginal community for the past two decades and has held a range of positions in government and community. Ngarra leads Oxfam Australia’s Aboriginal and Torres Strait Islander Program as the National Manager. Oxfam Australia is part of an international confederation working with people all around the world to achieve justice. In Australia, Oxfam are working towards a world in which all Aboriginal and Torres Strait Islander People’s human rights are respected and realised including having the power and capacity to determine their own strong, proud and healthy lives, and all Australians recognise and celebrate the unique cultural identities and contributions of Aboriginal and Torres Strait Islander Peoples. 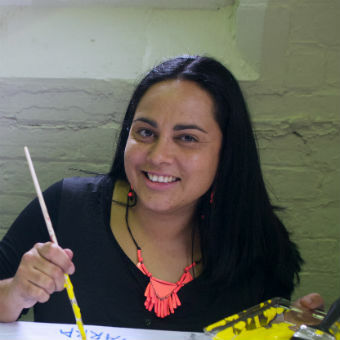 Along with her work at Oxfam, Ngarra is a Board Member of the Nicholls Foundation, Member of the National NAIDOC Committee, and a passionate artist involved in numerous cultural heritage and arts projects in her community. As an Aboriginal woman, she believes the foundation for all levels of leadership is community. Ngarra believes leadership is having the strength to lead by example and inspire others to stand up for what they believe in. “My family taught me the finest values of respect, integrity, justice, equality, inclusiveness, and the dignity and worth of every human being. These values make up the core of who I am and what I represent. Leadership is about committing to your beliefs and following through. It’s about supporting our community to accomplish our goals and help create a better future. There is a leader in all of us; we just need the right guidance, encouragement and support”.